This section is an extract from ‘Building digital communities: A recent history of the 2020 Communications Trust’ by Laurence Zwimpfer, and originally published in the New Zealand Computer Society (now ITP) book ‘Return to Tomorrow – 50 years of computing in New Zealand’. Computers in Homes has without doubt been the 2020 Trust’s most successful digital literacy initiative. In 10 years the programme has reached over 5000 families and there are positive signs that the programme could expand to reach the remaining 95,000 families with school-aged children who do not have a computer and Internet connection in their homes (Statistics New Zealand, 2006). 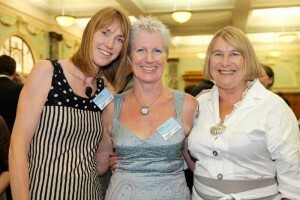 The “three aunties” of Computers in Homes: Clare Coman , Di Daniels (nee Das) and Barbara Craig. Computers in Homes began with what was probably a throw away remark at (e)-Vision on 11 April 2000 by the then director of the 2020 Communications Trust, Harvey Malloy. He suggested to Clare Coman, the incoming director of 2020, that the Trust should do something like Alan Duff’s very successful Books in Homes programme but call it Computers in Homes. At the table were 2020 Trustees, Ashley Blair, Principal of Cannons Creek School in Porirua, and Barbara Craig, a lecturer in the School of Education at Victoria University of Wellington. The Trust was in the final stages of planning for NetDay 2000, an initiative that was wiring up schools for the digital age, and the group started to think about what could come next. Computer Access New Zealand (CANZ) was underway promoting the use of refurbished computers for schools. The suggestion to connect homes to schools using low cost refurbished computers and Internet connections seemed a good idea. Clare suggested that a pilot programme could be launched at Cannons Creek with a computer and Internet connection being provided to every family; Ashley suggested a more cautious approach by starting with 25 families and seeing how things went, and so Computers in Homes was born. Carol Moffatt, who was working with the Ministry of Education developing ICT strategies for schools, needed no persuasion about the opportunities such a programme would present in strengthening links between schools and homes, and managed to find some funding to support a similar initiative in Auckland at Panmure Bridge school. Word spread quickly and other schools started to express interest. Another Ministry official, Joe Doherty, saw the opportunity for Maori and secured funding for a pilot in the Tuhoe region, working with the Tuhoe Education Authority to connect some of their most isolated rural families. Another early influencer in the development of Computers in Homes was Graham Kelly, who was the Member of Parliament for Porirua. Graham was invited to officiate at the graduation of the first families at Cannons Creek school and he mentioned he had seen similar programmes operating in the USA and strongly supported an expansion within Porirua in particular and New Zealand in general. 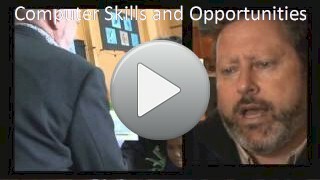 In June 2001, he set up The Porirua City Community IT Educational Trust (E–Learning Porirua) to champion the roll-out of Computers in Homes to all Porirua families without access to a computer, and now nearly 10 years later, this has proved to be the largest Computers in Homes initiative in the country. Meanwhile, securing sufficient funding for a national co-ordinator was proving a challenge. Trustee Barbara Craig recognised the opportunity and the need for research if the programme was to gain traction and persuaded Mike Doig and Dr Paul Froggatt in Victoria University of Wellington’s research arm, Viclink, to take over administrative responsibility for Computers in Homes. This provided accommodation and support for Clare Coman to continue developing the programme while at the same time supporting Viclink initiatives. The partnership with Viclink worked well for a number of years until the programme was scaled up sufficiently to support a full-time co-ordinator. In September 2001, Computers in Homes was one of 3 winners (selected from 23 finalists) in the education section of the prestigious Stockholm Challenge Award 2001. 2020 Director, Clare Coman, and 2020 Trustee, Barbara Craig travelled to Stockholm to receive the award. Fuelled by this international recognition and the positive results being reported from the initial pilot programmes, the Trust secured funding support in 2004 from the government’s Community Employment Group (CEG) to appoint a full-time Computers in Homes coordinator, Di Das. Di was a student of trustee, Barbara Craig, at Victoria University of Wellington and was completing her Master’s thesis on Maori and Pacific Education. Barbara had introduced Di to Computers in Homes in February 2000, and as she later wrote in a paper presented to an international conference, this “changed my life forever” (Das, 2003). Di continues today (2010) as the national Computers in Homes co-ordinator. The Trust also approached the Ministry of Education for support at this time to help scale up the programme. Don Ferguson, who was working in the Refugee and Migrant Resettlement Group, recognised the benefits for refugees and developed a policy initiative for ongoing support for around 100 refugee families each year. Don had observed the positive outcomes from donations of computer equipment by Rotary groups and The Ark to the 133 “Tampa” boys from Afghanistan, who settled in New Zealand after being rescued at sea off the Australian coast in August 2001 by the Norwegian freighter, MV Tampa. Families with teenagers are given priority as there is only a short window of time to engage them in education. Furthermore, parental involvement in education is foreign to most new arrival refugee families and Computers in Homes is a good way to connect them with their children’s education. In 2010, the Computers in Homes programme for refugees is still in place. Carol Moffatt and her successor, Murray Brown, from the IT Policy Unit at the Ministry of Education continued to provide support wherever they could to allow new pilot programmes. But in the absence of any significant policy work, the programme continued as a series of relatively small-scale pilots. Part of the difficulty for the Trust was in identifying which government agency should take the lead. Computers in Homes was delivering benefits for children (Ministry of Education), parents (Tertiary Education Commission and Department of Labour), and communities (Department of Internal Affairs, Ministry of Social Development, Ministry of Health, Ministry for the Environment, Te Puni Kokiri, Ministry of Pacific Island Affairs). When the government launched its Digital Strategy in 2006 with a contestable funding pool (the Community Partnership Fund – CPF), the 2020 Trust was quick to put Computers in Homes forward as a proven project. 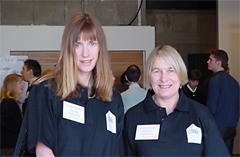 In the first CPF round (2006/07), four Computers in Homes ‘scale-up’ regional projects were approved on the West Coast of the South Island, in South Taranaki, Wanganui and Gisborne, supporting a total of 850 families. In the second round (2007/08), a further six regional projects were approved in the Far North, Ngati Porou East Coast, rural Gisborne, Wairoa and Porirua supporting a total of 950 families as well as around 20 families for an exciting new initiative with the Kelston Deaf Education Centre (KDEC), linking families with their children resident at KDEC using videoconferencing technologies. In the third and what is to be the final round (2009/10), another 10 projects were approved, including all of the existing eight regions, but also expanding to Whangarei and Hamilton. In this third CPF round a total of 1584 families are being supported. The CPF provided a welcome “whole-of-government” approach to digital initiatives and enabled successful projects like Computers in Homes to expand and reach whole communities. But the Trust remained frustrated by the slow progress towards connecting the 100,000 families with school-aged children, who in 2006 did not have a computer or Internet connection in their homes. In February 2009, the Trust launched its 100,000 Challenge – to connect all these families, so that all children have equitable learning opportunities in their homes, not only with access to the technologies, but also with access to parents who know enough about computers and the Internet to be able to support their children. This section provides a geographical overview of older Computers In Homes projects and shows where they were located around the country. Click on a year to view the locations in a new window.